Did you know that some of the heart diseases are asymptomatic? Heart attack, for example, not always warns, although we tend to relate it directly to a previous pain in the chest or left arm. It is one of the myths or misconceptions about stroke and diseases that affect the heart. And in health issue, the myths can take its toll, especially considering that cardiovascular diseases are the leading cause of death in the world. Let us see, more closely, what are some of the half-truths that should be clarified. Totally wrong. Although it is true that the older more risks because the arteries grow older, the infarction does not depend on age, and in fact, it can occur in young people. In these cases the hereditary component plays an important role, but also to follow a sedentary lifestyle and an unbalanced diet increase the risks of suffering cardiac problems at an younger age. It may be a triggering factor but, in medical terms, an infarct is caused by disruption of blood flow to the arteries (arteriosclerosis). As many studies have noted in addition to stress, other factors such as diabetes, hypertension, overweight or obesity, high cholesterol, smoking, and sedentary lifestyle must be taken into account. The truth is that not all people who have a heart attack feel the same symptoms. The chest pain, along with others such as difficulty for breathing, dizziness, cold sweat, feeling of nausea is the most common. 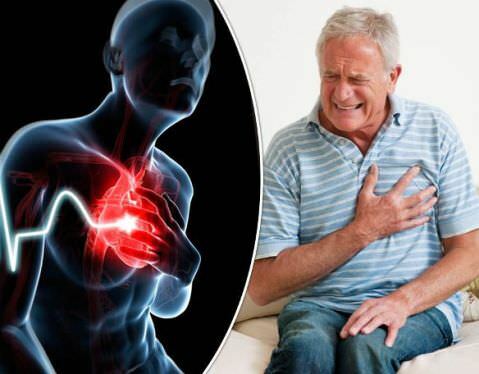 In addition, chest pain does not mean that a heart attack is irretrievably present, as it is a common symptom of other pathologies. Not true, especially if you follow an unhealthy lifestyle. It is true that before the stage of menopause, according to medical data, women suffer fewer strokes, largely because of the protective effect exerted by female hormones; however, the probabilities are equal to those of the men on having come to the menopause, when there is a significant decrease of estrogen. Wrong, and in fact there are big differences and that it is necessary to understand. In the case of women’s heart attack symptoms can be confused with other disorders such as may occur with abdominal pain, back pain, jaw pain, difficulty breathing, feeling of nausea and extreme fatigue. The fact that the parents had heart problems only indicates greater vulnerability and the importance of taking care of themselves, but does not necessarily imply that we are going to have a heart attack. Having no family history of infarction or heart problems does not mean that we do not have to control the risk factors.